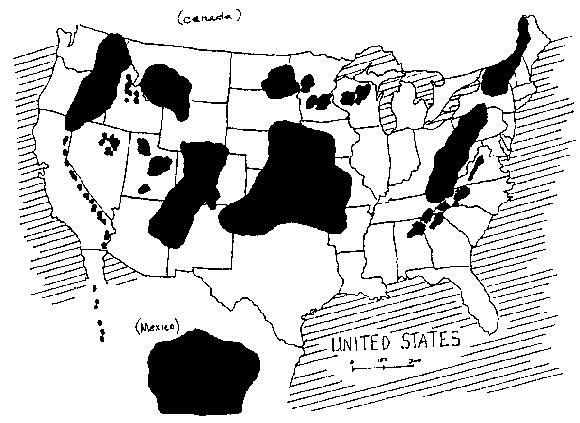 This map shows the North American continent after the Earth shift. Striped lines are existing large water masses. White areas are existing land. Black areas are remaining land that will be above water after the Earth shift. This map and the above description are from the book, Conversations with Nostradamus (Vol. 2), page 296, by Dolores Cannon. Dolores emphasizes that this is a worst case scenario. In her book, Dolores has a total of six maps covering other parts of the world. She also explains why some of this will happen in particular areas of the country. For more information I suggest your read the book. This map is shown with permission of Dolores Cannon.